A perfect morning flying in a Cessna with my sons Nik and Jayan! 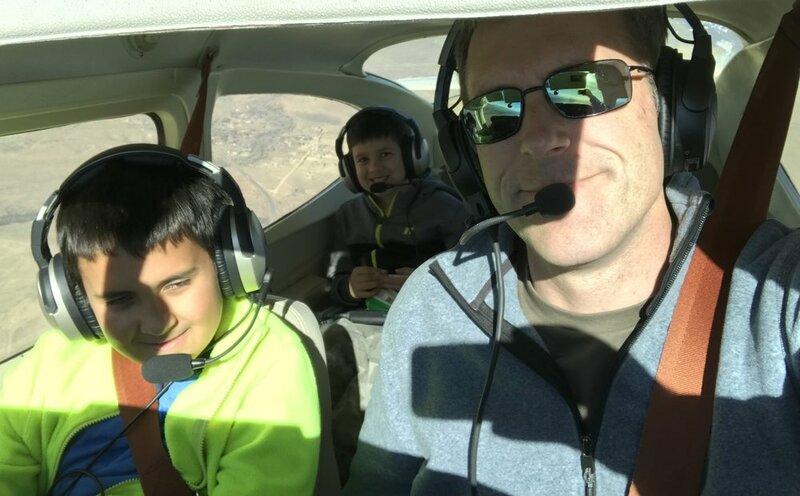 Whether you need a professional pilot, aircraft manager, or a flight instructor, Michael is the right choice. With almost 11,000 hours of flight time across 24 years he has the experience necessary to provide safe and efficient operations. Since learning to fly in 1994 with the Brown University Flying Club Michael’s passion for aviation has had an overwhelming influence on his life. He has flown skydivers, air ambulance, for an airline, overnight freight, and currently specializes in executive transportation in business aircraft and advanced flight instruction. With an eye for detail, Michael can ensure that every element of your flight is properly arranged and executed, every time. Jean-Luc is an aviator whose experience not only spans the globe, but covers many types of flying. With over 7,000 hours of flying experience, 3,000 of which have been in flight instruction, Jean-Luc holds licenses as a private pilot, commercial pilot, airline transport pilot, in warbirds, and as a flight instructor. Passionate about flying since he was a small child, Jean-Luc, who was born in a French colony but is now a very happy U.S. citizen, has flown throughout Europe and the USA, in Egypt, Malaysia even regularly from the Congo to France in a Cessna. Although he has been a technical director for an international corporation, responsible for processes heavily used in aviation, he is today exclusively an airline transport pilot and an instructor. Teaching is one of Jean-Luc’s greatest joys, and he is committed to sharing the practical experience of his life in flying in a thorough and steady manner. He hold three instructor certificates, 2 above the sea and one under: Of course in aviation as mentioned above, plus national skydiving instructor in Europe, plus technical and deep diving (TriMix) instructor with diving award.